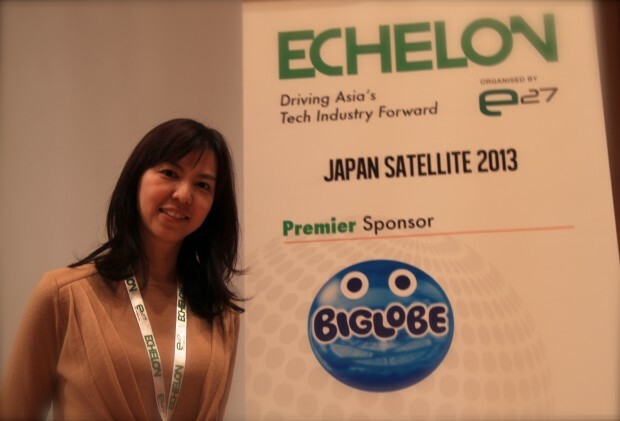 At e27’s Echelon satellite event in Tokyo yesterday, nine startups pitched their businesses in front of a panel of judges. 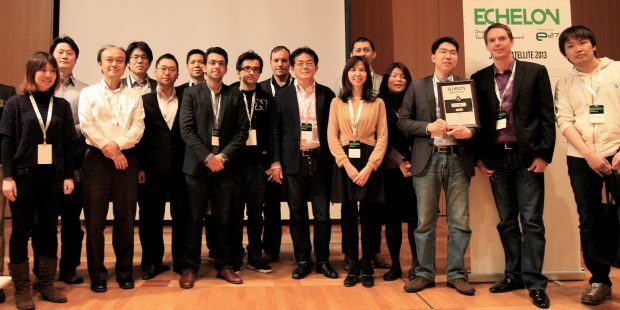 The lineup of startups was pretty high quality, not only with startups from Japan but also from Korea, Taiwan, and beyond. Check out our overview of the pitches below to find out which idea walked away the winner. Pitched by Martin Trgina, this is a business analytics service that helps companies visualize and analyse all sort of data. 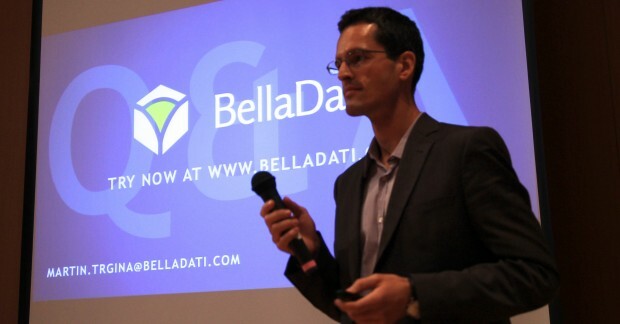 Belladati can connect to over 100 different sources of data for a client, including Twitter, Google, Oracle, or SAP, and “bring your data out of the dark,” exported to powerpoint, PDF, or embedded in your own apps. They have predefined templates for certain industries, so users don’t have to start from scratch if they don’t want to. The service is already being used by a number of prominent companies including Red Bull and Korea Telecom. It can be used as either a cloud solution or installed on-premise. This cloud enterprise solution was presented by Shigeta Okamoto, pitched as a sort of Dropbox for business. They want to isolate user data from the PC (things such as documents, pictures, music, etc. ), so once you log into CloudDock on a Windows machine, you’ll see your files as normal, but with a small cloud icon on top of them, sort of like Dropbox puts a green check mark on files which have been synced. And when you access that file in an application, it’s quickly downloaded for use. But upon logging out of CloudDock, the data is no longer on that device. This service can be used on mobile as well. The startup is targeting customers considering VDI systems, and so far they have already managed to sell over 9000 licenses in just two months since their launch in February. We’ve heard from Conyac a few times before, so regular readers are likely somewhat familiar with this service. 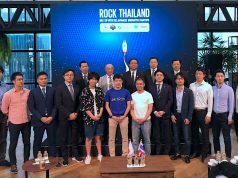 Naoki Yamada pitched the startups offering for business, explaining that their crowdsourced translation solution can provide quick translations for businesses for a low price. As a typical business use case, he gave the example of a 10-slide powerpoint presentation, which was translated in five hours and cost $36. In comparison to competing services, Naoki explained that on their platform translators can be educated by more experienced translators, thus giving them an opportunity to improve themselves. 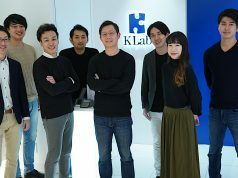 This app is a product from Sony Digital Network Applications (SDNA), a group that presentor Masato Kuninori describes as a team of ‘intrapreneurs’ who operate as a startup somewhat independent of its parent company Sony. This photo app was released about a year ago (I gave it a short review), which presents pictures in a magazine style reminiscient of Flipboard, with a great design and the ability to add labels to organize your photos. But I was curious to hear Kuninori describe one of their business models as becoming a B2B service, where they would create versions of Million Moments for various companies. He also noted that once they create a cloud service, they might try to use the labels that users add to photos, although he was somewhat vague on the details, unable to disclose too much. 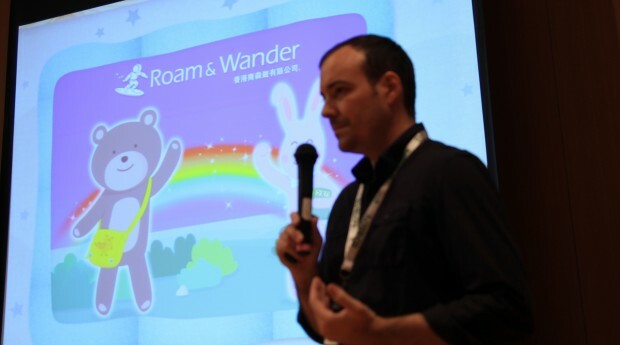 This Taiwanese startup offers a range of preschool and entertainment apps for kids, a sort of learning cirriculum in the form of fun games. Currently QLL has over 140 applications, with the goal of offering 300. 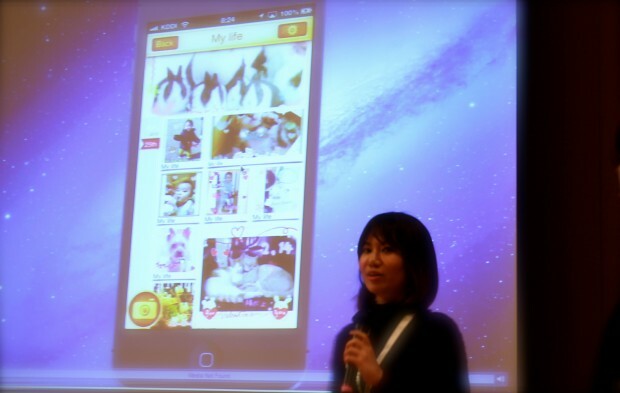 To date they have seen 4.5 million downloads, 50,000 daily active users, the majority of which are from their home market of Taiwan. The business model is paid advertising in app, as well as licensed content. 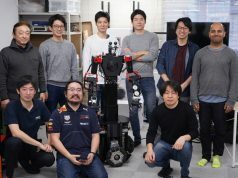 The company began one and a half years ago, but are now trying to expand abroad, eyeing the Japanese market as one of their next targets. Serkan Toto, one of the judges, asked about how the company planned to market their apps, and presentor Lulu Yeh explained that since they often have a few of their apps ranked very high in app stores, they can then cross promote their other offerings. It seems like a solid idea, and it will be interesting to see how they fare outside Taiwan. This was another interesting games/entertainment offering for kids, a games and toy startup that was originally launched late last year. The company’s games offer physical stickers as a reward, which they say has worked really well in terms of getting kids excited about playing. For some kids who receive these stickers, it might be the first piece of physical mail they ever receive, so naturally they get quite excited. Typically Roam & Wander will send about 300 stickers a day, with a peak of about 700. But presentor Jason describes it as a viral gateway, and the cost of mailing has dropped a little as they have grown. The startup also plans to bring their Tutu game character to life in the form of a doll that uses a smartphone as the characters face. Special capacitive touch toys are individually recognized by the application, allowing kids to give the doll a drink for example. They are hoping to soon launch a Kickstarter project in order to drum up some awareness about their product. 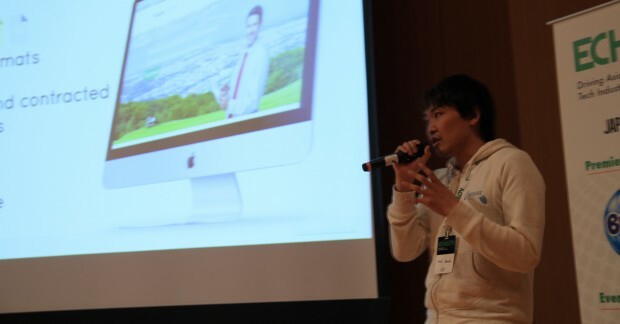 The only Korean entry in attendance, Zimly is a startup that has been around for a few years now. 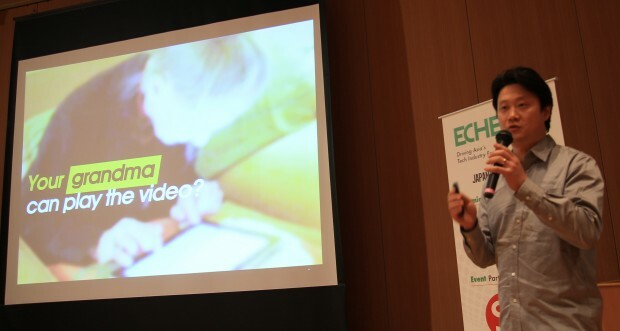 But at the pitch event, it was presented as a solution to share video across devices, or as a way to watch videos together with friends. Currently the service shares video from PC to mobile, but they hope to make it from “any device to any device” soon. The previous version of Zimly has about two million users, and it is planned to move them over to this new version, and then increase the number of users. While there’s no shortage of cute photo apps on the market, this one looks sort of promising. Decoalbum’s value proposition is to offer two of the typical cute photo app functions – photo decoration and photo collage – combined in a single app. Readers may remember that we recently featured the collage creation app Papelook, which had racked up more than 4 million downloads since its initial release back in mid–2011. DecoAlbum, which appears to have been on the app store since the middle of last year, boasts 1 million downloads, and the founders say that’s without any paid promotion. Their business model is printing photos, which they plan to do in cooperation with print service Tolot, as well as photo storage. They also mentioned plans to release stickers next month. Another Taiwan-based service, TopAdmit offers the editing services of its team of 45+ English speaking editors. The pitched use case was a Japanese student who has written an application to a university abroad, but needs some editing to ensure the quality of the document. But TopAdmit also aspires to expand to provide editing of research papers and business editing. They charge 30 cents per English word, or a retainer feed of $500 per month. 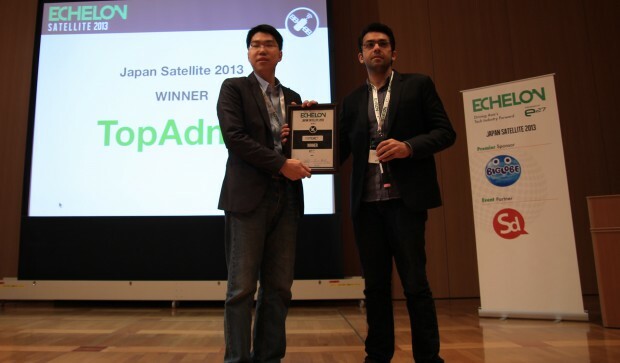 TopAdmit was judged the winner of the pitch event .